The CIO Summit takes place on 20th September and is CIO UK’s flagship event of the year. 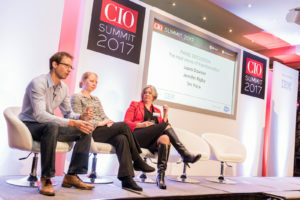 The CIO Summit has been running for 9 consecutive years and is a day event, packed with debates, seminars, workshops and expert panel discussions. We expect around 100 senior IT professionals to attend and it is the perfect arena for sponsors to gain first hand insights into the core business and technology challenges today’s IT leaders are facing. If anyone is interested in finding out more about the CIO Summit and sponsorship opportunities then please feel free to contact me directly. Where is the 2018 CIO Summit held? This year the Summit will be held at the prestigious Shangri-La Hotel at the Shard. 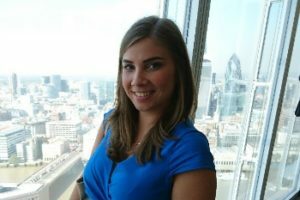 Located on the 34th floor with amazing panoramic views over London it is going to make a great venue for the CIO Summit. What topics are being covered and have any speakers been announced yet? The Workplace of the Future Study will be officially unveiled at the 2018 CIO Summit. With over 100 senior IT professionals attending it is the perfect arena to showcase the research findings. Then of course there will be discussions around data and GDPR, cyber security and the day to day challenges that CIOs are facing. We will have a dedicated CIO troubleshooting session where individual CIOs will be asking the audience for help with their specific problems. Stay tuned! We are excited to welcome the 2018 CIO 100 leader David Henderson of Global Radio to join our speaker line-up at the 2018 CIO Summit along with peers Jane Moran, CIO of Unilever and Richard Corbridge, Leeds Teaching Hospitals NHS Trust’s Chief Digital and Information Officer. More speakers will be announced in the upcoming weeks. Are there sponsoring opportunities for this event? We will only be accepting 4 sponsors so get in there quick! There are still some partnership opportunities remaining although the Headline Sponsorship has been taken by ANS Group this year. What are the benefits of sponsoring the CIO Summit? That very much depends on the individual sponsor but we have thought leadership, branding and networking opportunities for the right companies. The main thing to remember is that our Summit audience is very exclusive and sponsoring the CIO Summit leaves you an open door to interact with these usually inaccessible individuals. How you use it is up to you but we can certainly give you advice about the best use of the sponsorship to help you achieve your business goals. How can companies get involved in CIO Summit sponsorship? What’s the best way to stay on top of all CIO Summit news? All updates will be posted on the webpage , you can follow us on twitter @ciouk and also via email so keep a look out!